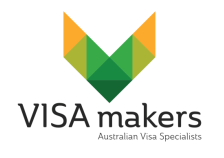 If your parents would like to live in Australia on a permanent basis then a applying for a Parent Visa would be the logical choice. To be able to sponsor your parents you would need to be a settled Australian citizen, permanent resident or eligible NZ citizen. Typically, your parents would be granted a temporary visa for 2 years with the option of applying for their permanent residency within that 2 year period. Parent visas can be a great option but note that the visa application fees can be very significant. For more information please click on the green visa buttons below.